TULSA, Okla. (AP) — The Republican candidate running for Oklahoma's 1st Congressional District is being knocked by his Democratic opponent for backing out of several chances to debate heading into the election. Democrat John Olson's campaign manager says Republican Jim Bridenstine is "hiding from voters" by turning down at least four high-profile opportunities, including a chamber of commerce event in the Tulsa suburb of Broken Arrow, an AARP-sponsored debate and a forum at the B'nai Emunah synagogue in Tulsa. Bridenstine also turned down an interview on KWGS' Studio Tulsa progam. 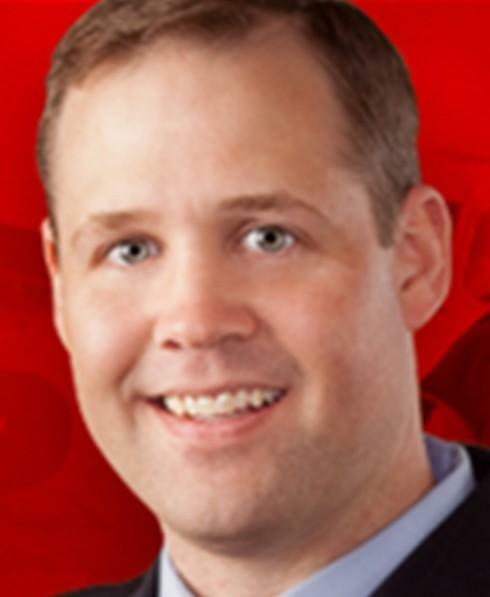 But Bridenstine's camp says at least nine public appearances have been scheduled since September, and accused Olson's campaign of trying to grab more attention. Yet when Bridenstine was an underdog in the Republican primary facing five-term Rep. John Sullivan, he repeatedly called out the congressman, saying he "lacked the courage" to debate him more often.